Engagement rings don’t always need to feature diamonds. Several people across the globe prefer gemstone as a better alternative. The popularity is more due to the diverse varieties of gemstones available in the market which are equally beautiful compared to the higher elements. Gemstone rings present a variety of styling and color combinations, creating unique looks that highlight the personality of an individual. The ideas of using gemstones as jewellery items date back to early ages. One can search and find stories in the Bible and other historical texts. One such reference can be found in the “Breastplate of Aaron”, the spiritual garment representing the various tribes of Israel. Today, gemstones have a different meaning to the wearer. Most people are advised to wear the gemstones associated with their birth (birthstones). Each of the gemstones is believed to have different properties that can be associated to planets and the individual’s luck, prosperity, personality, wealth and other traits. Keeping aside the popular beliefs, gemstone rings are a great way to adorn your fingers with exquisite colours. While diamond itself is a gemstone, there are several competing stones that people prefer over it. Sapphire, emerald and ruby rings are equally precious and expensive. There are other stones that are easily available and considered semi-previous but nevertheless have a strong impact upon its wearer. While buying gemstones, the rarity factor will be responsible for the price you pay for it. Though primarily an attractive ornament, gemstones have been largely considered to have healing properties. There are even specialised therapies where gemstones are the primary mediums of healing. There have been reports that present that some gemstones have been able to fight chronic illnesses, mental instabilities, stress and other disorders. For the believers, they are the only solutions to health and mental problems. Amethyst has been said to inspire creativity, thoughts and inspire intuitive dreams. Similarly, emerald has been associated with memory and intelligence. 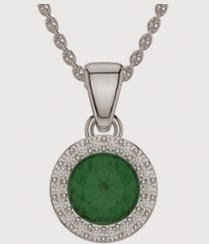 Emerald is also used by many people across the globe to relieve insomnia and fight trauma. Ruby on the other hand has been said to increase the energy level of an individual and help him maintain a positive work-life balance. Sapphire, the next most popular gemstone is considered as an emblem of love and friendship. While looking for gemstone rings, it is advisable that you get some background information about the particular kind of stone. The color, quality, carat and cut will matter in the way you expect to benefit from the stone. However, for those looking just to deck up beautiful and bright, the color and cut of the gemstone ring will depend on the occasion, personality and the type of work one is involved in. Gemstones rings are a popular buy also because of the lower rates they are available in as compared to the diamonds. Many will go for a gemstone embed ring as opposed to using diamond. As such, the variety of colors can be used in all kinds of base material, yellow gold, white gold and platinum to give you a pleasant look. Gemstone jewellery will also be easy to handle and maintain. This is something that you can sport at all places including your office, after work parties, weddings and even put it into regular household use.